Creating hand woven fabric reallys is a labour of love. There are so many processes to go through to reach the final outcome. I always start off a project with photography followed by painting to simplify the colour and composition to form a design. I then use squared paper and card windings to work out the design of the warp. 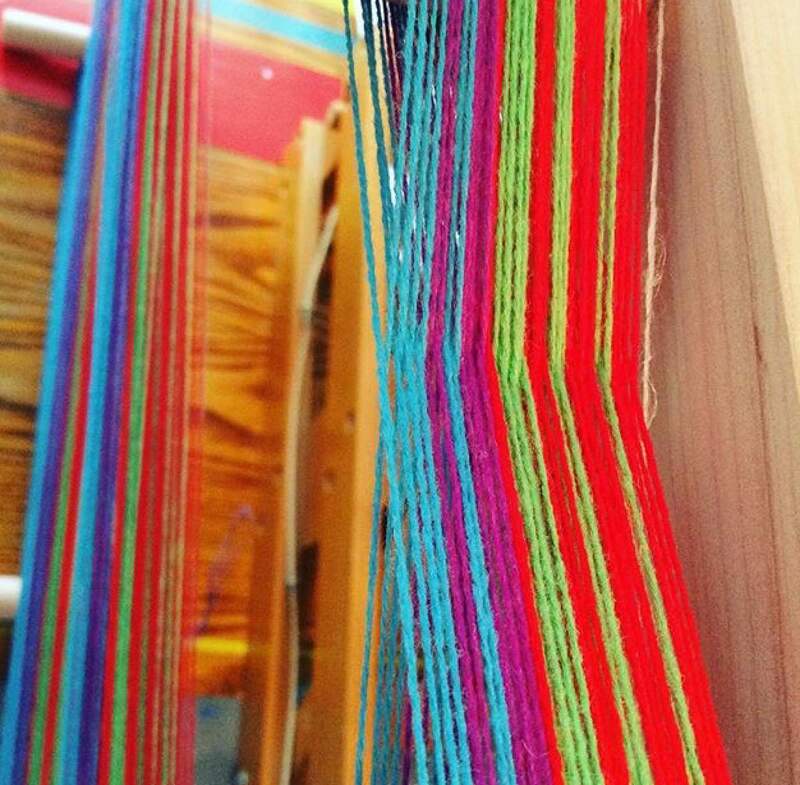 The warp is the vertical threads in the weave. 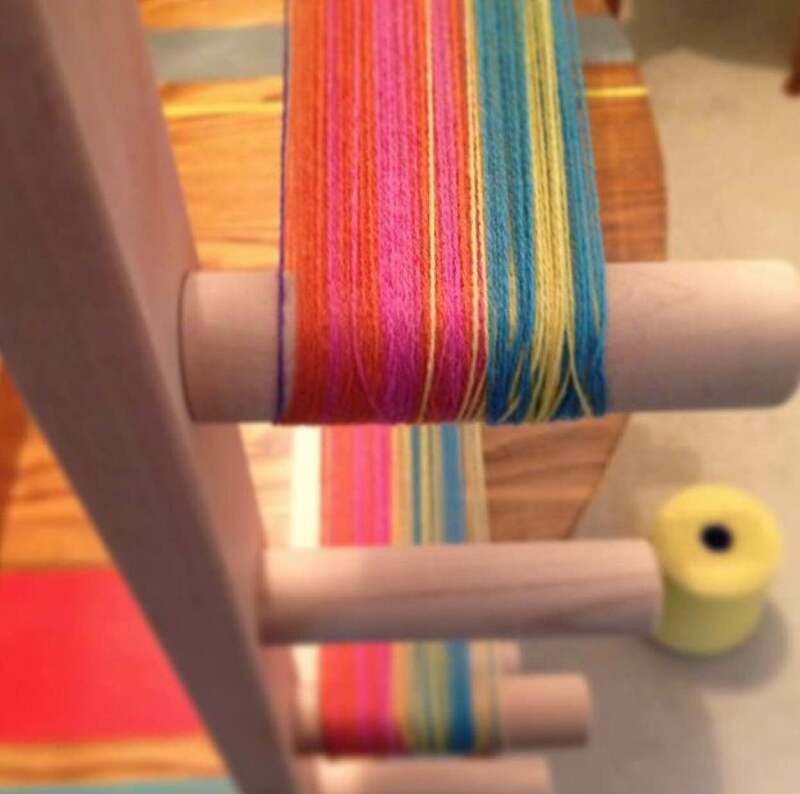 I use a warping frame to wind the warp. 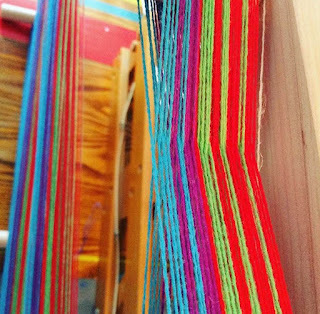 After working out how many threads are in a centimeter and where each colour sits in the design, I wind the yarn around the warping frame. Depending on the length and width of the cloth I want to create, this can take between 1-3 hours! The next step is putting the warp onto the loom. 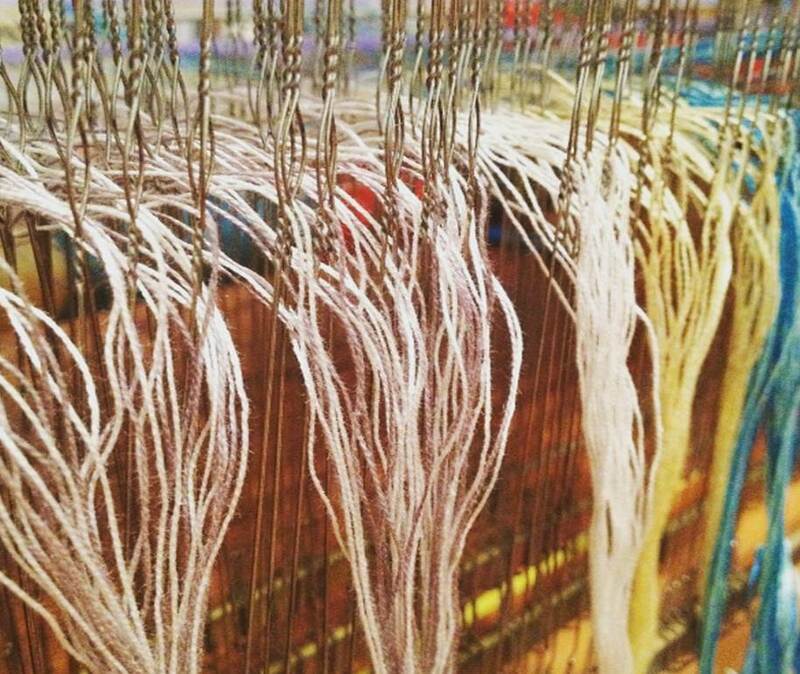 This part of the process involves using a raddle to spread the threads out onto the back roller and winding the warp onto the back roller. Bigger looms need two people to do this but for my loom, I tend to manage on my own! Threading is my nemesis!! it requires total focus and concentration. There are infinite threading options which all depends on the design of your fabric. The main three threading plans are straight, point and block. Each thread has to be threaded through the eye of each heddle. Its a long and painful process but the feeling of achievement at the end is so worth it! 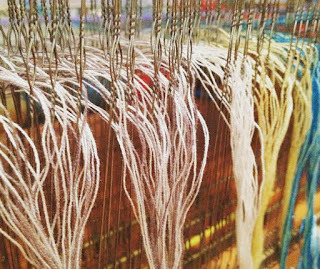 After each thread is threaded, they need to be put through the reed. This is used to beat the threads down when weaving. 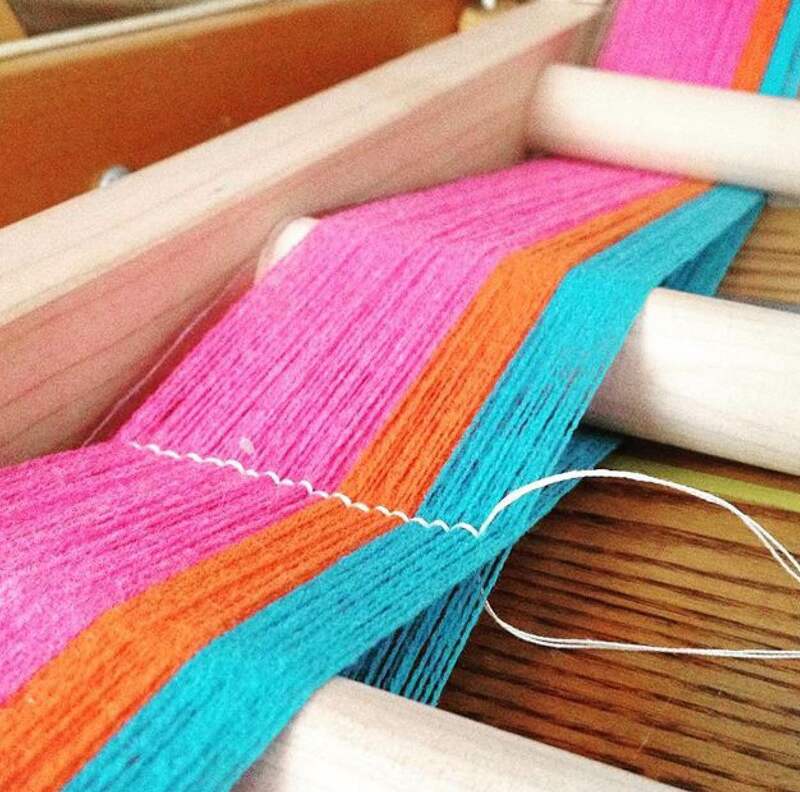 After tying on and checking the tension, its time to weave! Different looms work in different ways but they all have the same mechinism. Each shaft is lifted by either a peddle, lever, peg system or computerised. I work on a Harris table loom and lift each shaft by hand with levers. The weft is made using a shuttle which holds the bobbin. Yarn is wound onto the bobbin using a bobbin winder. After I have woven the fabric, I hand wash to remove oils and make the cloth soft and fluffy! Once dry, I make my products. Scaves I tassel before washing, cushions I hand make myself and bags are made by a close friend of mine who is an extremely talented seamstress and maker.